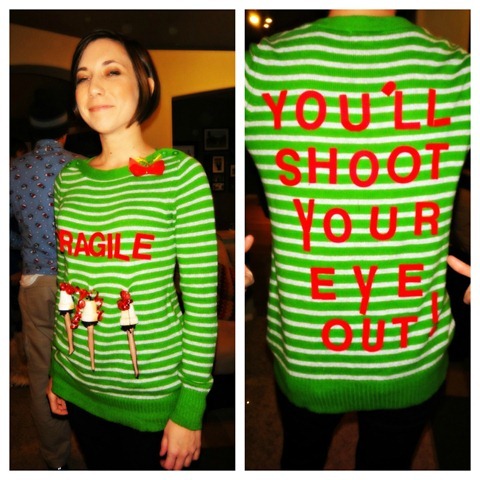 I love the Christmas Story sweater! So cute! 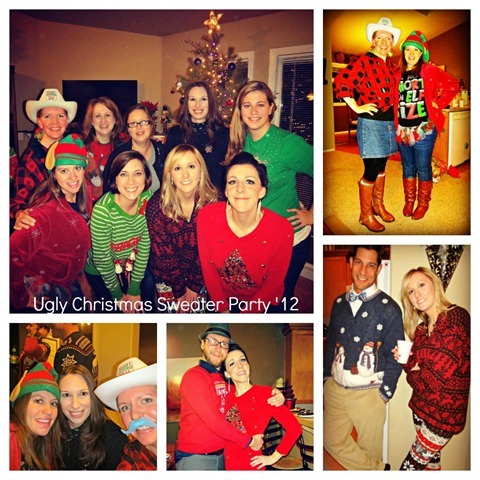 I’ve never been to an ugly Christmas sweater party but looks like fun! You look too cute! Love the boots. but that tutu/tshirt takes the cake! 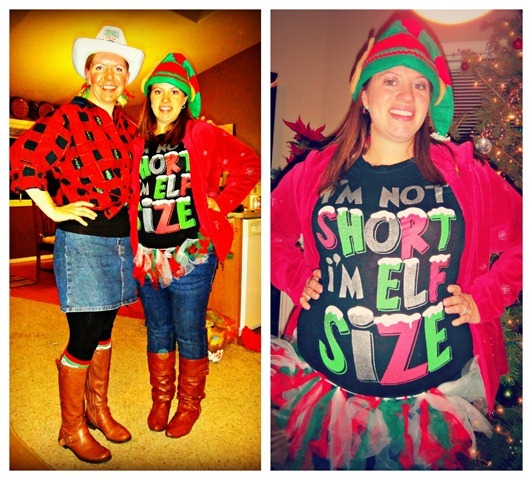 I’m elf sized too! What fun! I have heard those ugly sweater parties are becoming so popular that it is HARD to find ugly sweaters! I love your outfit and your striped top in the first pic. How cool that so many of your friends are pregnant! Looks like you had a great time! Love the sweaters. It’s awesome that you have company in the pregnancy department as well! Should make for some great playdates. 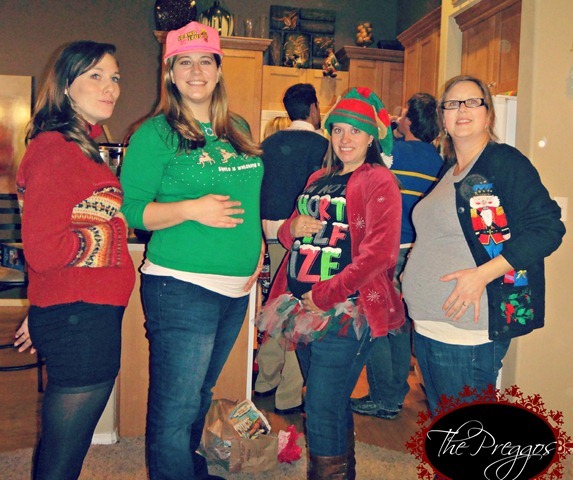 LOVE the sweaters and the preggers picture, next year will be very different!! 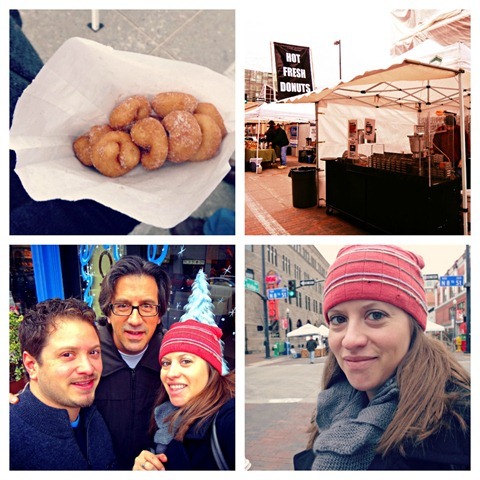 Those donut-looking things are making my mouth water! It’s been so long since I had donuts. Yum! 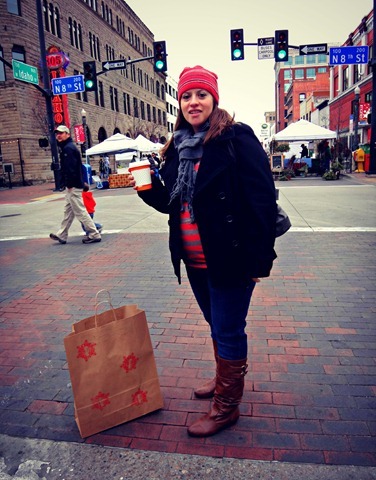 And you look adorbs all bundled up in your winter clothes with your bump! There are no ugly sweater parties in Holland, unfortunately because it looks like a lot of fun. Happy for you that you are able to go home for a couple of days. Everyone looks so adorable in their ugly Christmas sweaters! I went to my first sweater party this year and loved it. Enjoy your time with family and friends!